“Sommercampus” had just ended and the elementary school children had scarcely left the Institute of Science and Technology Austria (IST Austria) when a new group gathered on campus: 15 youngsters between 12 and 16 years old came to take part in “Top Models in Science: Science needs models, too!” During the three-day camp, the teenagers had the chance to dive into the exciting world of science. The event was part of the larger “Talentesommer in Klosterneuburg” series, organized by the Niederösterreichische Begabtenakademie. “Top Models in Science” is all about scientific models and how scientists use these models to describe and understand nature and natural phenomena. During the camp, IST Austria scientists introduced their research areas, and participants learned about chaos theory, fluid mechanics, and much more. Georgios Katsaros, professor at IST Austria, told the group about quantum bits. The teenagers tested the models for freefall and projectile trajectories in experiments, then analyzed their data and computed the relevant statistics. Game theory—another area of research at IST Austria—challenged the teenagers to think logically and strategically in a variety of games. Instructors from the Begabtenakademie offered participants a glimpse into engineering, and the ways engineers approach problems and develop ideas. The teenagers simulated collisions in virtual crash tests, used software to compute the carrying capacity of a bridge, calculated the characteristics of car rims, and carried out traffic simulations. Organizer Georg Heilig was particularly excited to see a large number of girls taking part—this year, they made up nearly half of the group: “Making this event appealing to girls and inspiring them to explore STEM-subjects is extremely important to us. 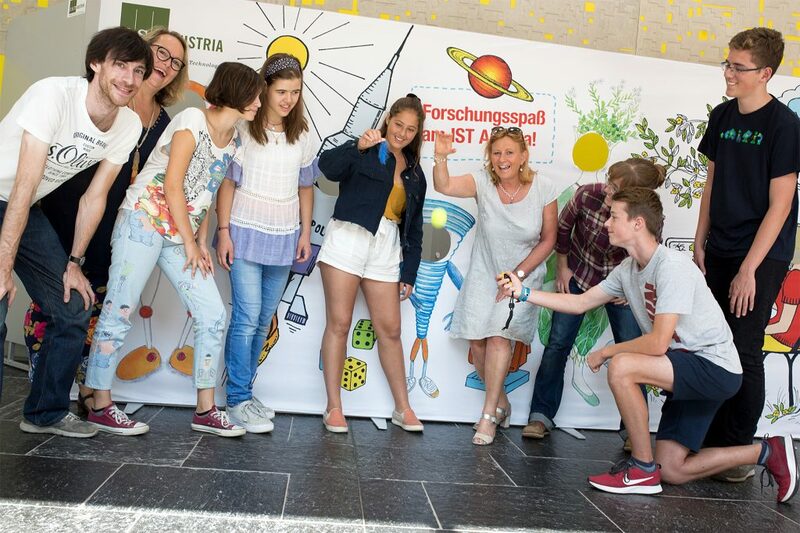 By engaging young women and keeping them interested, IST Austria works to reduce the gender gap in science in the long run.” Encouraging young talent is also a priority for Councilwoman Maria-Theresia Eder, who helped make the event a reality. “I am so proud that we can offer educational opportunities like this here in Klosterneuburg,” she said during her visit on Wednesday. “Top Models in Science” was supported by the Federal Ministry of Education, Science and Research, and was run in cooperation with the Niederösterreichische Begabtenakademie on the IST Austria campus in Klosterneuburg.